I've been developing some amazing freebies for you, and can't wait to hear what you think about them! All you need to do is provide your email address and you'll have these downloads delivered swiftly into your email box, plus you'll be added to our ever growing and super helpful email list which is where all the juicy stuff is anyway. As a bonus, you'll also be added to our newsletter with helpful photo preservation tips. Expecting? 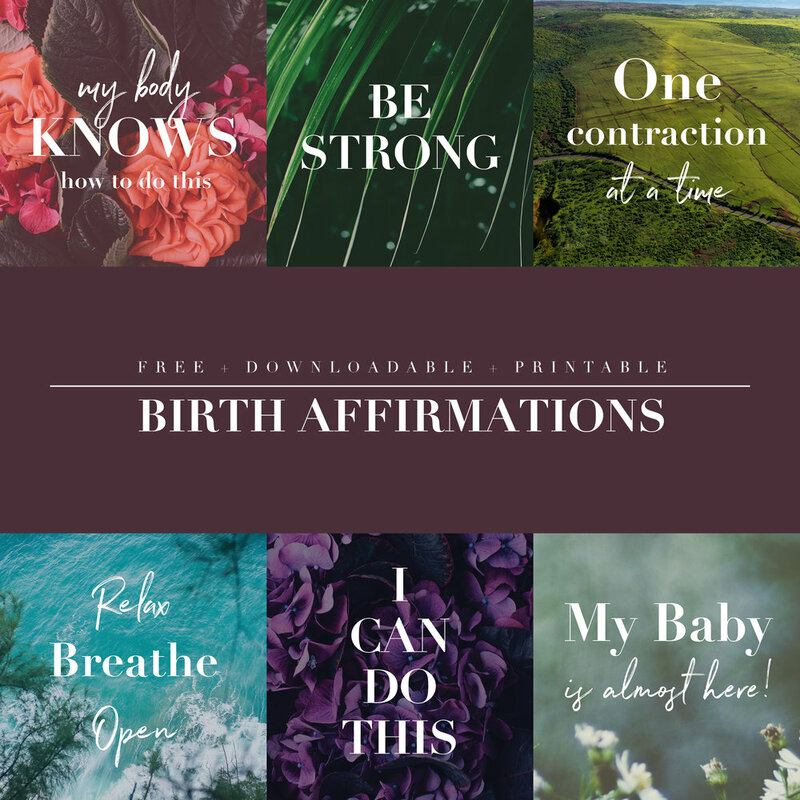 These birth affirmations will be perfect to keep near you to encourage, affirm and help get you through that final push and onto sweet baby bliss. Download them now! My top 10 Oahu recommendations! Stay tuned! We're so sad to be leaving this beautiful place, but I wanted to share all of my favorite things to do while here. Are you visiting? Take it from someone who's spent almost 4 years on the island, here are the places we go again and again!